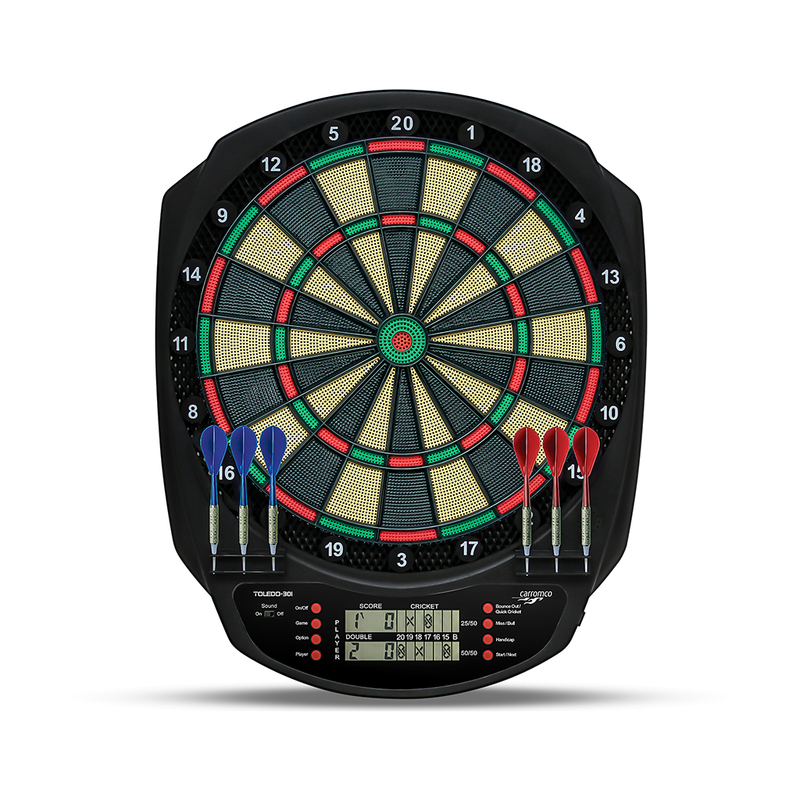 Dartboard TOLEDO-301 | Products | Carromco - License To Play! 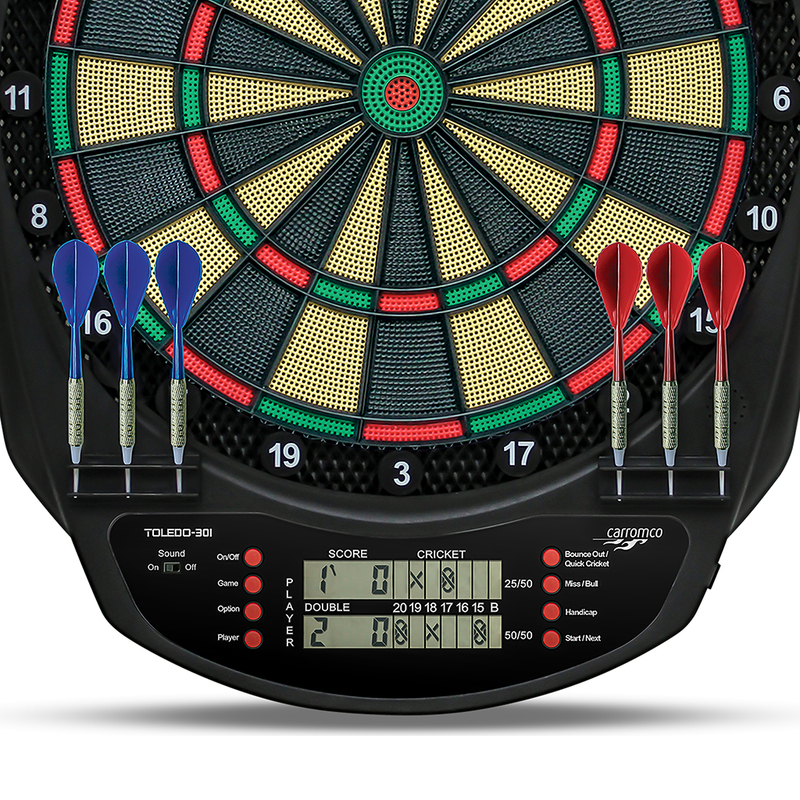 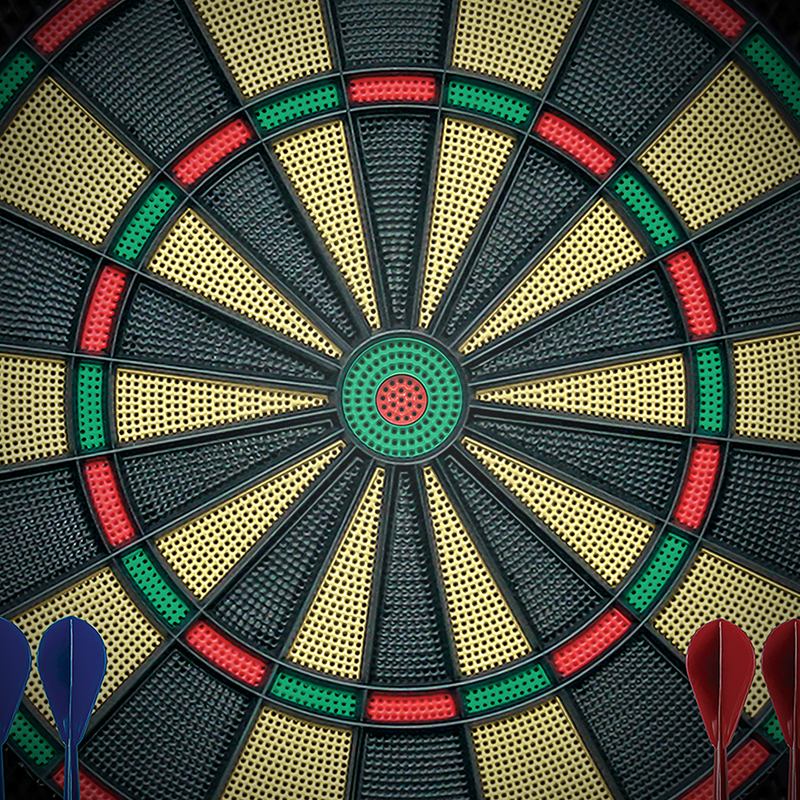 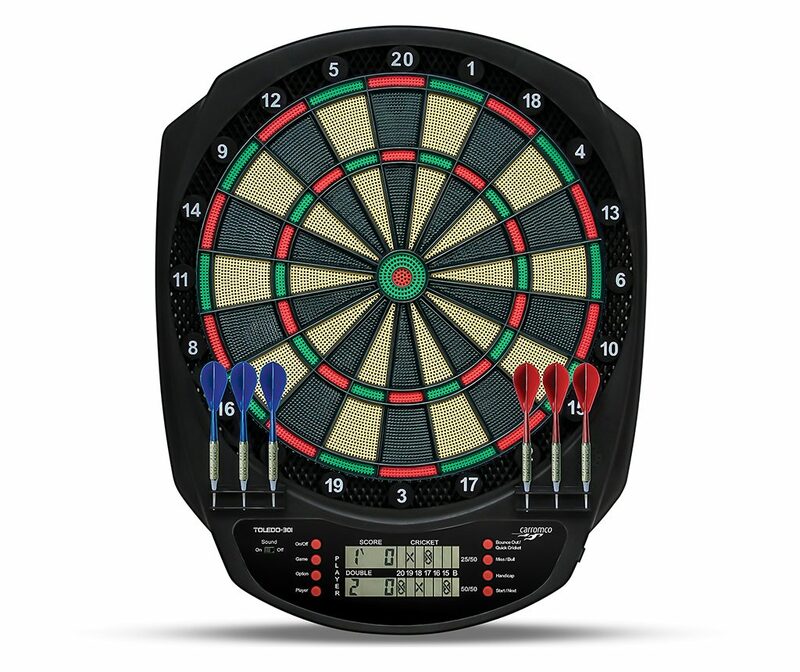 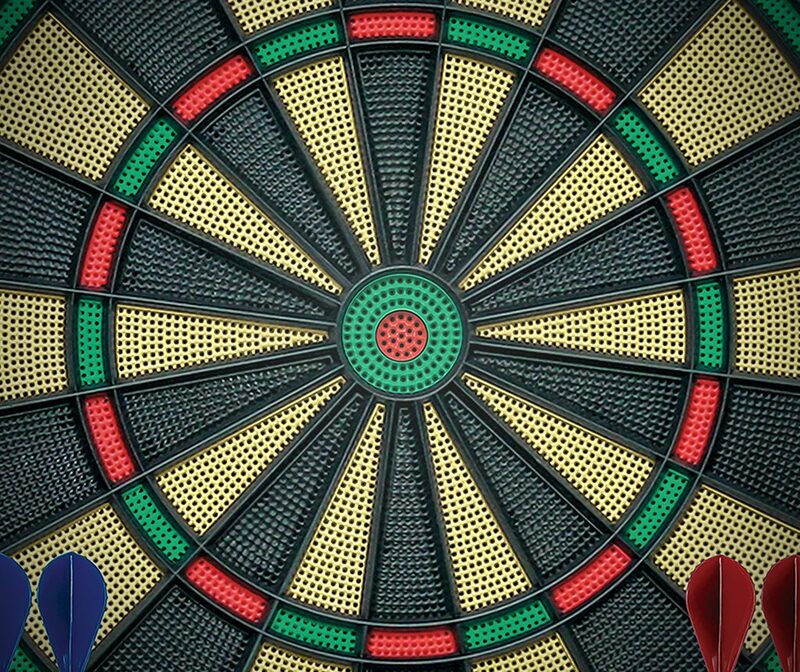 Electronic Dartboard with 1 LCD Screen, for 1 – 8 Players, Traditional colors with 3-hole double/triple segments. 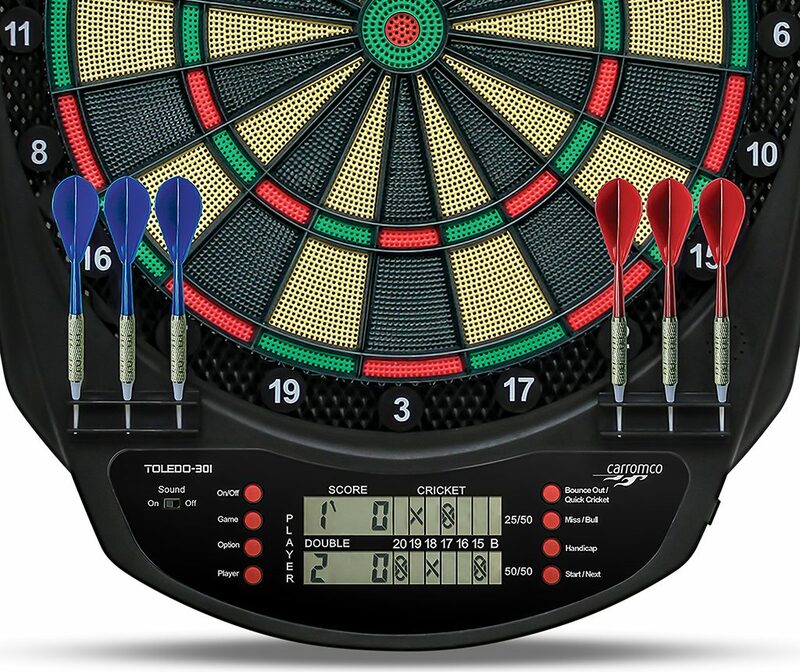 43 games and 320 Variations.